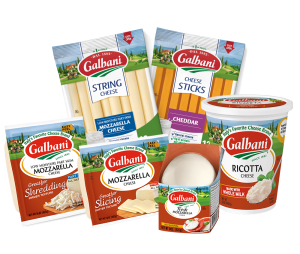 With our authentic Italian Galbani® cheese, a simple meal can become a lasting memory. The joy of sharing a savory meal with those you love is one of life’s greatest pleasures. That’s why Italian’s call it la dolce vita—the sweet life. our cheeses satisfy your craving for genuine Italian taste. First crafted in Italy by Egidio Galbani in 1882—Galbani® cheeses have long been the #1 cheese brand in Italy. Egidio Galbani’s attention to detail was impeccable, and that same passion still drives everything we do—from selecting the finest-quality ingredients to providing innovative and delicious new products.